Available heated driver and front passenger seating ensures a comfortable place to sit on chilly mornings. Heated outboard rear seats are also available. Control phone calls, audio, cruise control, and more with the intuitively designed multifunction steering wheel. A standard rearview camera system with a color dash-mounted display screen provides an added touch of convenience and safety. The Civic provides up to 97.8 cubic feet of interior passenger space – more than enough for five adults to ride comfortably. The interior of the Civic is designed to be comfortable, practical and convenient. The six available interior fabric options include cloth or leather, and features like a leather-wrapped steering wheel and shifter knob add a touch of luxury. Advanced technology, such as Apple CarPlay and Android Auto, allow drivers to connect their compatible smartphone and access their phonebook for hands free calling, text message response, music streaming, and more through the easy-to-use in-dash touchscreen interface. The screen can also act as the control center for the vehicle’s available 450-watt premium sound system with ten speakers. 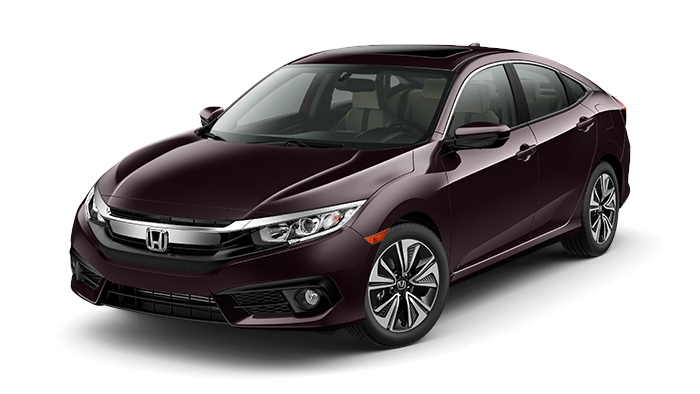 To experience the interior features for yourself, drop by Brown Honda in Amarillo to get a feel for this popular compact and learn about the purchase or lease options that allow you to take it home today. Contact us to learn more.